1500 sqft updated Clarendon model boasting hardwood floors on the main and upper level * Reserved parking * Private fenced paver patio * Updated double pane windows * Updated kitchen with silestone counters new stainless steel appliances * New HVAC 2013 * New washer dryer 2013 * Spacious master with 2 closets * Great location close to two bus stops, the Fairlington Community Center, pool, tennis, playground, and shopping! Great Opportunity!! Open house April 21 2-4pm. Claim your Castle before its gone! 79 Northampton is completely turn-key! Conveniently located across from the Hampton Oaks community center, outdoor pool, tennis courts and tot lot park. 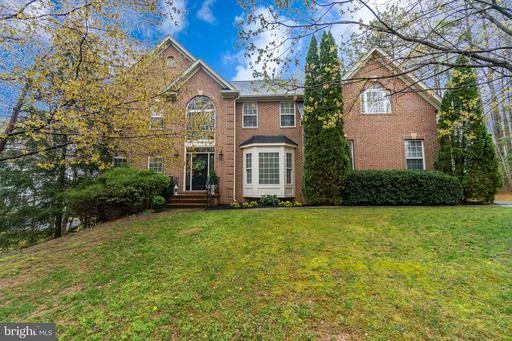 This fabulous, former model, brick front colonial in Hampton Oaks has all the space you~d ever need and more. 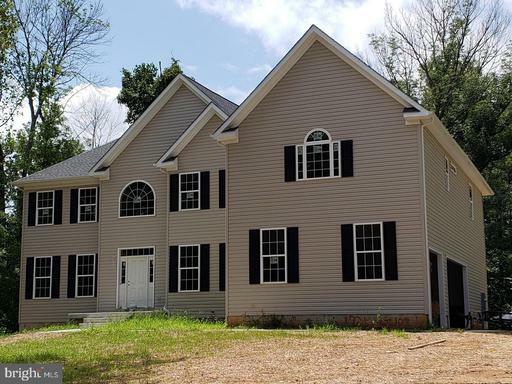 With 3,994 finished square feet, this home has four bedrooms on the upper level and one on the main level with 4.5 baths. The hardwood floors extend into the formal living room, dining room as well as the large two-story foyer. The hardwoods were refinished in April 2019. The sunken family room features a beautiful stone front gas fireplace as well as large windows to let in lots of natural light. The eat-in kitchen features stainless steel appliances, tiled backsplash, granite countertops, under cabinet lighting, a large pantry and newly tiled floor April 2019. Main level features a bonus room directly off the kitchen which can be used for whatever you like- library, office, 5th bedroom, playroom etc.~ The staircase splits at the bottom, leading either to the foyer or the kitchen. Upstairs, is just as spacious. The master bedroom features a trey ceiling and a separate sitting area with a gas fire place. The master bathroom has double vanities with a granite top, a jetted tub as well as an enclosed water closet. The walk-in master closet is generously sized with bonus attic storage access. The first bedroom has its own private bathroom. Bedrooms 2 and 3 have generous walk-in closets and share a Jack n~ Jill bathroom. All bathrooms have updated fixtures and lighting. The laundry room is located on the upper level. The basement has a rec area with built-ins, a full bathroom and an optional 6th bedroom NTC which is hardwired with speakers. There is also a large unfinished storage room 529sqft. The backyard has mature trees that offer privacy and shade and also has new sod. 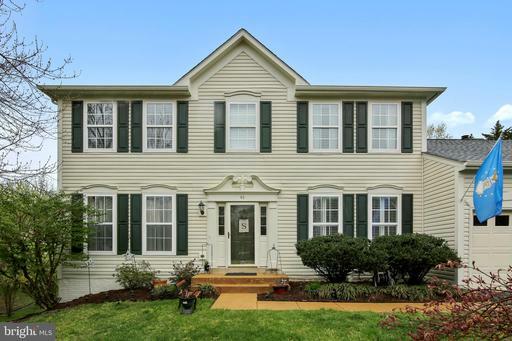 79 Northampton is ready to go: fresh paint April 2019 refinished hardwoods April 2019, new carpet April 2019, new roof less than 2 years, new HVAC upstairs~ Community Amenities Galore, Swimming Pool, Tennis Courts, Tot Lots, Sidewalks and Common Areas. 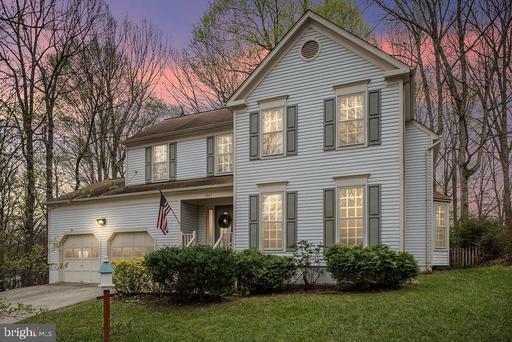 Located Minutes off 1-95, and approximately 10 Miles from Quantico marine Base FBI Academies, Convenient to Ft. Belvoir, 15 Miles North of Historic Old Town Fredericksburg, and 35 Miles South of Washington D.C., Convenient to Schools, Shopping, Commuter Lots and the VRE. Hurry- schedule your showing today! Welcome to this spectacular home with a large yard. This beautiful home overlooking and backing to the golf course features 5 bedrooms and 3.5 bathrooms. The two story open floor plan welcomes you to the bright living area with large windows and a brick fire place to keep you warm on cold winter days. It boasts about its spacious master bedroom and ensuite bath on the main level. The gourmet kitchen with stainless steel appliances has a large pantry. Enjoy your meals with family and friends in the dining area or have fun in the recreation area in the basement. Basement also features a bedroom with full bath and a wet bar. Cherish the outdoors on the deck or the beautiful patio in the large back yard. Dont miss this opportunity to make this stunning home your own. Easy access to 95 and Route 1. Large home in sought after Stone River, close to pool and playgrounds. Cathedral ceiling in family room, large open kitchen, office/study with French doors off of foyer. Huge finished basement with walk out to level back yard. ~Striking, columned.... garage add and parking pad for two more cars off the long driveway! Walk in from easy-care hardscape porch path onto real slate floor foyer and hall with double sized coat closet! To your left see the large living room with tons of natural light from the large picture window, leading to a formal dining room with hardwood floor and a double window with a view of the private treed backyard! To your right off the foyer is a convenient guest bathroom in a charming retro art deco style! Solidly built with 6-inch extra insulated walls~ Follow the slate hall onto the hardwood floor of the family room with wood-burning insert in the white brick ceiling to floor fireplace! Turn left into the bright kitchen with all new SS appliances and granite and plenty of space for a large island or use as an eat-in kitchen! From the kitchen, go left into the formal dining room, or enjoy your meal on the deck off the family room via the sliding glass patio doors. This house has been updated throughout and is entirely professionally painted and newly carpeted in popular modern neutrals! Landscaped "with plenty of places to create your own private outdoor room!" Truly a great home!!! This Beautifully Designed Home is Better than New! All of the details within are coordinated to perfection. The residence is situated on nearly 3.5 acres with a 360 view of lush wood line. The Gourmet Kitchen features Stainless Appliances, Upgraded Cabinets and Granite Counters. 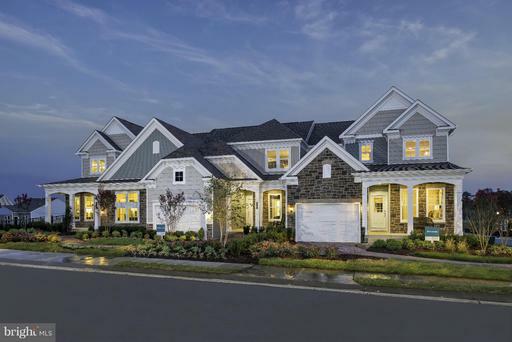 *Highlights* Luxury Flooring, Upgraded Trim Package, Upgraded Lighting Finishes Throughout. Owners Bedroom features a custom Faux Fireplace, Separate Closets and a Spa-Like On-Suite Bath. The upper level also features three large secondary bedrooms. Fully integrated basement with a custom built wet-bar, rec area, In-law suite, office, and a full bathroom w/seamless glass shower. The list of standouts goes on and on. This is a must have home! 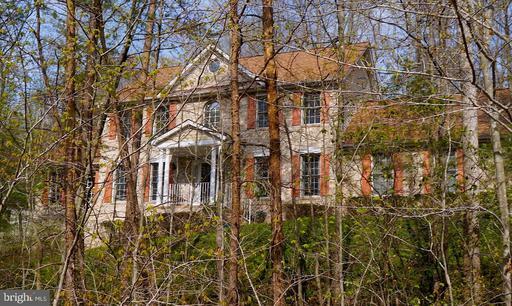 Exceptional house on a private 2+ acre lot in Stafford County Virginia! 3 finished levels, 9 foot ceilings and upgraded throughout! Fully renovated kitchen! Hardwoods on the main level in foyer, formal living and formal dining and a large open family room off of the kitchen that offers a gas fireplace with mantle and wired for surround sound. Kitchen has tile. The sunroom is just off the breakfast area and is spacious in size and walks out to your deck. A great backyard with a playground and sandbox already installed and ready to convey! Upstairs you have a luxurious master suite. The bathroom has been redone and is absolutely beautiful, new custom floors, great soaking tub, a large separate shower, double vanities. The master bedroom offers a sitting room and 3 separate closets, 2 are large walk ins! 3 additional bedrooms and a full bath in the hall upstairs. In the basement you have a massive recreation room, a 5th bedroom, a full bath, and great storage space! Outside you a have a beautiful pond, with a lovely walkway, bridge, fenced in and stocked with bass fish! Wooded, secluded lot and an RV pad already in place. Retaining wall, driveway was widened and has sewer cutout for RV dumping. Outside lights, LED with night sensors, radon mitigation system, updated safety outlets. No HOA. 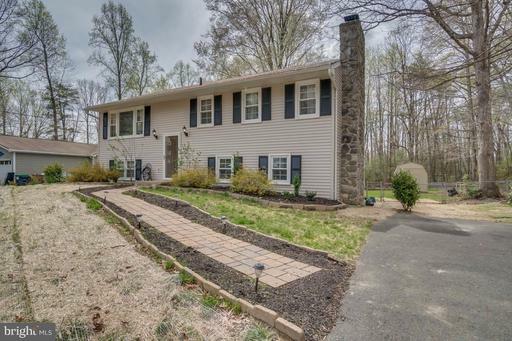 Minutes to VRE, close to I-95, YMCA, parks, shopping, entertainment and restaurants! GORGEOUS Home in Austin Ridge ! Gleaming Hardwood Flooring on Main Level w/ Tiled Kitchen, Granite, and New Stainless Steel Appliances ! Kitchen Leads to Addition of a Side Room/Porch, w/ Separate Door to the Beautifully Landscaped Yard ! From the Front Porch w/Rocking Chairs to the Large Brick Pavered Patio, Private Flat and Fenced Backyard and Gardens ! New Painting Throughout and New Upgraded Carpet Installed in the Entire Upstairs ! Basement has 5th Bedroom ntc w/ Full Bathroom, Large Den and Wetbar ! 4 Barlow House has a New Roof, New Designer Garage Doors, New Furnace and Heat Pump and 2 New AC Units ! Make this Home and Neighborhood Your New Home w/ the Community Pool, Center and Outstanding School District ! 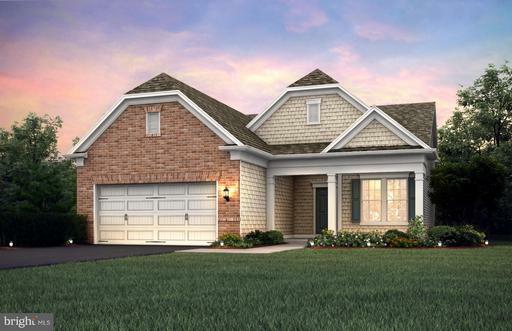 The Delaware Model from K. Hovnanian~ Homes provides a spacious and beautiful 4 bedrooms, 3 1/2 Baths, and large gourmet kitchen with double ovens. The Delaware on a 0.42 Acre Lot, has a 2 story family room with gas fireplace, large finished basement, recreation room, full bath, 2 car garage, and optional 5th bedroom. 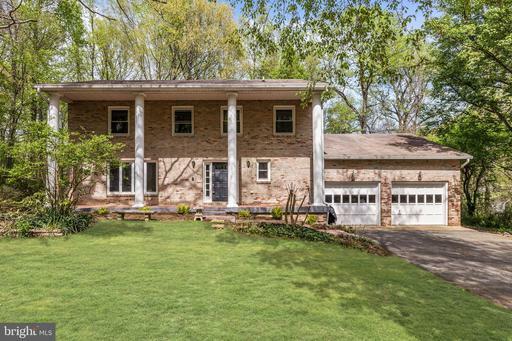 The main level has large gathering spaces, two story family room ceiling, floor to ceiling stack stone fireplace surround, second story overlook, office/library, huge gourmet kitchen and hardwood floors. This lovely house has a ADT Security System and a built-in tool/work bench with storage shelves in the garage! 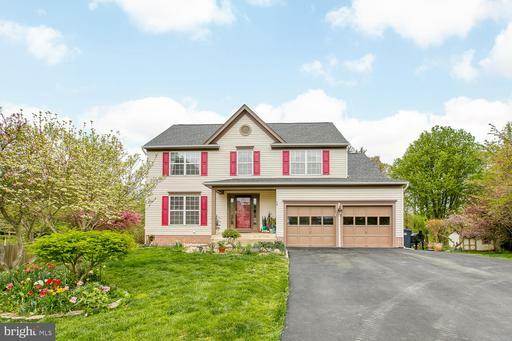 The finished basement has large carpeted recreation room, a full bathroom, large storage room, unfinished 5th bedroom or make it whatever room you want it to be and walk out basement into a fenced in backyard. The Leeland Station Community has a pool, tennis court, basketball court, childrens playgrounds, and HOA Community Center with gymnasium. Listing Broker: Kylin Realty Inc. 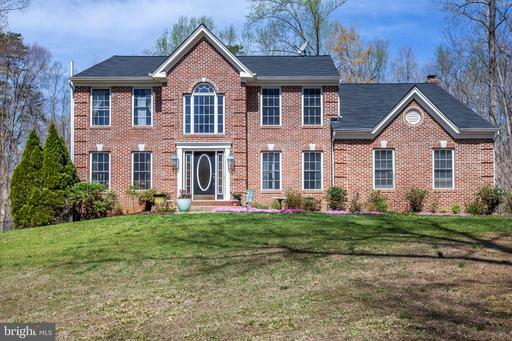 Exquisite Brick Front Colonial In North Stafford - Offers 3,400+ Sq Ft. With 4 Bedroom 2.5 Bath 2 Car Garage. Lots of Windows Spacious Rooms, Beautiful Hardwood Floors, Huge Open 2nd Story Foyer, Gourmet Kitchen With Granite Counter-Tops, Stainless Steel Appliances, Wall Oven/Microwave, Gas Cooktop/Downdraft, 42" Cherry Cabinets, Private Butlers Pantry and Breakfast Bar/Nook, Formal Dining Room, Living Room, Study/Den/Library, Family Room With Gas Fireplace. Private Second Staircase Leads To Sleeping Quarters, Cathedral Ceiling Large Walk-In Closet In Master Bedroom, Separate Jetted Tub/Shower Water Closet In Master Bath, Bright Sunny Morning Room, Front Loading Washer Dryer As-Is Condition Tasteful Decor Throughout, Huge Deck Fenced Backyard, Dual Zone Air Conditioning Heating. Unfinished Basement With Lots of Storage Space. 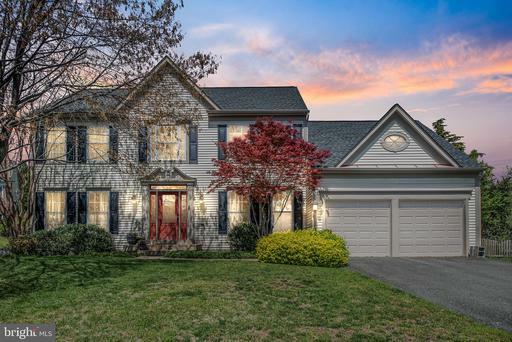 Convenient To Nearby Schools, Shopping Quantico Base. A MUST SEE HOME! Please Contact Listing Agent Nguyen R. Banks - 571-436-0448 With Any Questions Or Schedule A Private Tour. WHY WAIT FOR NEW CONSTRUCTION WHEN YOU CAN HAVE IT NOW!!! 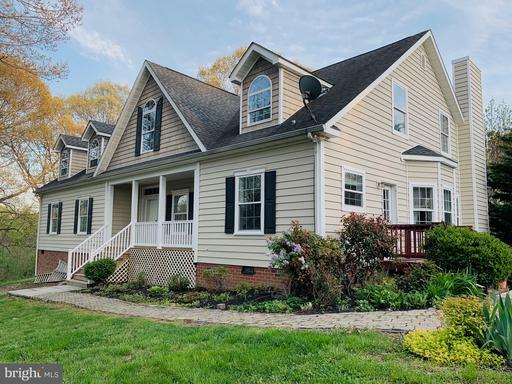 COME SEE THIS BEAUTIFUL, CHARMING, AND OH SO NICE PROPERTY LOCATED IN STAFFORD COUNTY! THIS HOME IS PRACTICALLY BRAND NEW! IT HAS RIGHT UNDER 5,000 FINISHED SQUARE FEET OF LIVING SPACE! THIS BEAUTY HAS A GREAT OPEN FLOOR PLAN! 5 LARGE BEDROOMS 4 BEDROOMS ON UPPER LEVEL 1 BEDROOM IN BASEMENT! 3 1/2 BATHROOMS 1/2 BATHROOM ON MAIN LEVEL; 2 FULL BATHROOMS ON UPPER LEVEL AND 1 FULL BATHROOM IN BASEMENT! 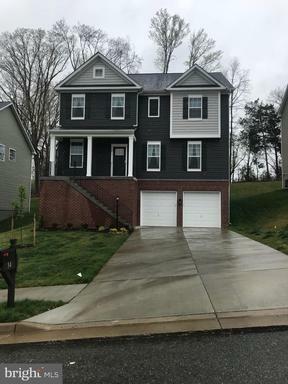 PLUS IT HAS A GREAT FINISHED LARGE WALKOUT BASEMENT THAT INCLUDES A ROUGH-IN FOR ENTERTAINMENT/BAR; SECOND FAMILY ROOM; 5TH BEDROOM; AND ANOTHER ROOM FOR WHAT HAVE YOU? A LARGE STORAGE ROOMAS WELL! ON THE MAIN LEVEL IS A GORGEOUS GOURMET KITCHEN TO ENTERTAIN ANY COOK WITH ALL THE UPGRADES! LARGE TILE SUN ROOM OFF OF KITCHEN TO ENJOY WHICH OPENS TO THE COMPOSITE DECK! LARGE FAMILY ROOM WITH FIREPLACE! DINING ROOM; LIVING ROOM; AN OFFICE/STUDY AND MORE! LAUNDRY ROOM IS ALSO ON THE MAIN LEVEL! BEAUTIFUL HARDWOOD FLOORING! THE STAIR WELL TO THE UPSTAIRS HAS BEAUTIFUL WOOD AND IRON RAIL/BANISTER! LARGE MASTER BEDROOM WITH 2 WALK-IN CLOSETS! MASTER BATHROOM WITH LOVELY DUAL SINKS; SOAKING TUB; SEPARATE SHOWER! 3 ADDITIONAL BEDROOMS AND GUEST BATHROOM! GREAT COMPOSITE REAR DECK AND FULLY FENCED IN YARD TOO! THIS HOUSE IS TURN-KEY! LOTS OFUPGRADES! CONVENIENT TO COMMUTING; SHOPPING; SCHOOLS; ACTIVITIES AND MORE! PROFESSIONAL VIDEO COMING SOON! Beautifully updated paint and carpet throughout the home! 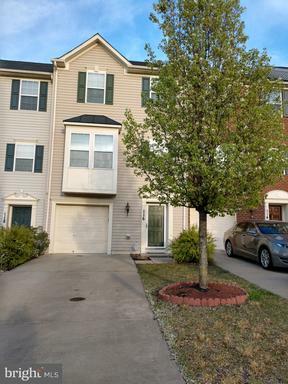 Two car garage townhome in Stafford VA! Zone temperature control two independent programmable thermostats Recreation room wired for surround sound entertainment. New garage door, lazy Susan shelf, and a cold water faucet are on order and will be installed shortly. Great location! 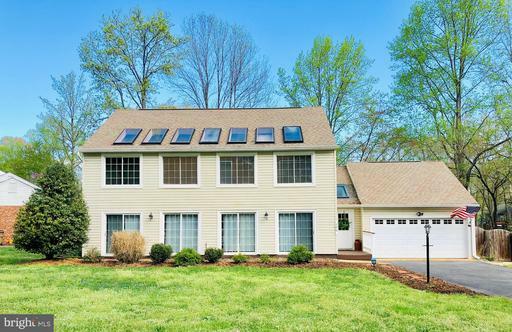 Minutes from Quantico, I-95, commuter lots, shopping, restaurants and more. HOV access. 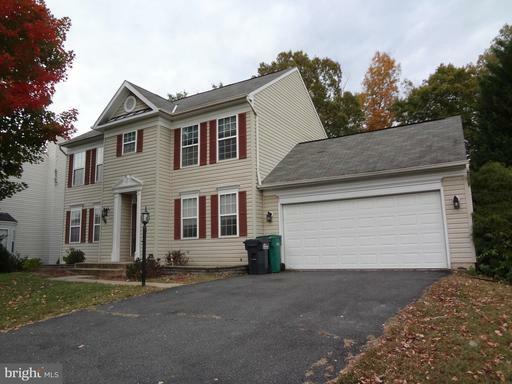 Beautiful 4 bedroom, 2.5 bath colonial in sought after Aquia Harbour! Lovingly maintained, gleaming hardwoods in living and dining rooms, cozy family room with wood burning fireplace, walk out to large deck, large flat yard with shed, ceramic tile in kitchen and baths, spacious master suite with walk in closet. Gated water-access community with tons of amenities. This beauty will not last! 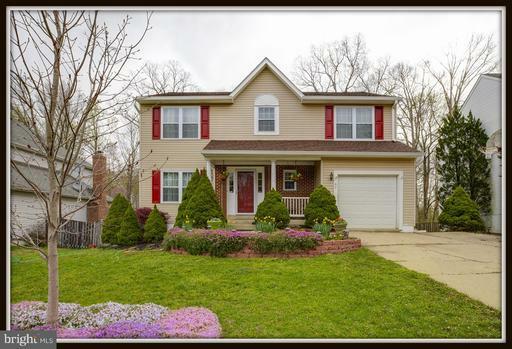 You will love this beautiful home in the Manors of Park Ridge! This spacious home has been updated and has a 2 car garage. Beautiful 2 story foyer with New hardwood floors on the main floor. Formal living and dining room. Open concept kitchen with breakfast room. Kitchen with granite countertops, ceramic tile floor, stainless steel appliances and tons of cabinet and counter space. Large family room with neutral carpet, ceiling fan, and a direct vent fireplace. Large master suite with dual vanity, soaking tub and separate shower. 3 additional bedrooms and a hall. Fully finished basement with wet bar, deep sink and a wall of built-ins great for entertaining. There is also a bonus room and a full bath in the basement as well as an oversized storage area with shelving. Roof and siding are 2 years old, Windows upgraded in 2002. You will enjoy the beautiful and private new deck. Over 3000 sq ft of living space. Truly a great home!!! 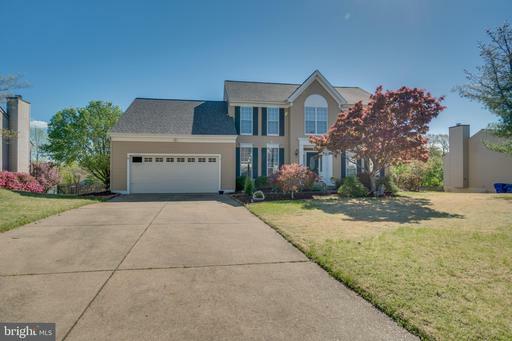 Beautiful, move-in ready home in the heart of North Stafford. Huge fenced backyard w/paver patio off lower-level. Huge deck off dining room. Beautiful custom stone hardscaping and patio. Cathedral ceilings create open feel through main level. Lots of natural light. Granite countertops, ample storage, and a gas range complete the kitchen. High-efficiency HVAC water heater, stainless steel fridge dishwasher. Breakfast area with bay window. 6 PARKING SPOTS: two in the garage, four in the drive way. Beautiful home in great neighborhood. Updated kitchen with new high end appliances, quartz counters, marble backsplash new wood floors. Breakfast area and attached sunroom with two skylights. The gorgeous sunroom is a wonderful space to sit and enjoy the backyard or watch a game on the outdoor TV with friends! Plantation shutters throughout the home add to the elegance of this meticulously maintained home. New, energy efficient heat pump. Completely updated kitchen and so much more! Dont miss this beautiful home. Light filled first floor family room. Completely renovated luxury Master bath with double sinks, soaking tub large shower. Walk-out lower level with rec room, full bath additional NTC Bedroom. Large fenced rear yard. 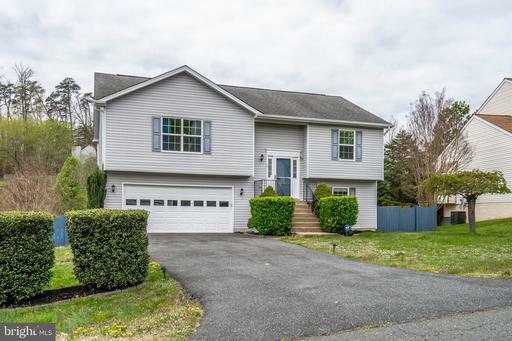 Close to VRE and carpool lots and easy commute to Quantico,I-95 and RT 1. SPECIAL FINANCING AVAILABLE! Are you looking for a Home with a main floor Bedroom? Then this is the one! 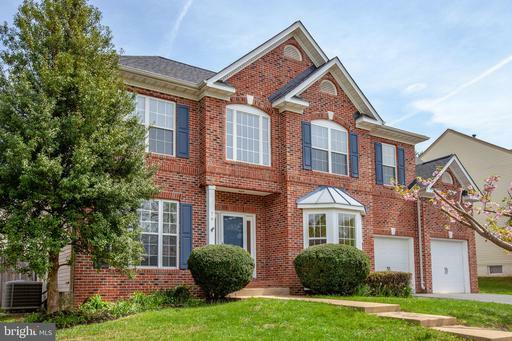 Located in the sought after North Stafford Community of Hampton Oaks. 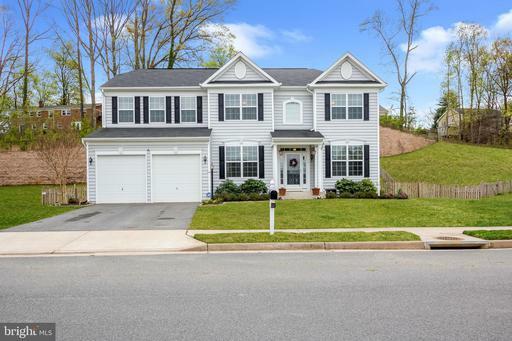 This 5 Bedroom 4.5 Bath Home located at the end of a quiet Cul-de-Sac is walking distance to the elementary school, Community Center, pool and parks. This lovely home has four bedrooms upstairs, and all have ceiling fans and nice size closets. The Master Bedroom includes a walk-in closet and a second closet. The Master Bath beautifully remodeled with a separate shower, dual sinks and a Large soaking tub perfect for relaxing. Conveniently located upstairs near the bedrooms is the Laundry. The main level bedroom is an ideal In-Law, AuPair, or guest suite complete with a private full bathroom. The kitchen features Stainless Steel Appliances and tons of upgraded Corian countertop space. The large island is perfect for food prep or Buffets for entertaining. Settle down in the adjoining family room by the gas fireplace, or head on out to the large backyard. Perfect for entertaining or relaxing, tons of room to spread out on the patio, by the fire pit, or playing games in the grassy areas. There is even room to expand, the yard extends beyond the fence up to the neighbors driveway. Dont forget about the basement! There is more room for fun and games, complete with a Bonus Room, Game Room, and full Bathroom. Bonus Room with built-ins is a perfect location for all the board games. The Wet Bar with Mini-Fridge in the Game Room is sure to be a fun gathering area for friends and family while watching all your favorite sporting events, and a full bathroom to accommodate all your family and guest. Dont miss out on this Fabulous home! This one will not last! 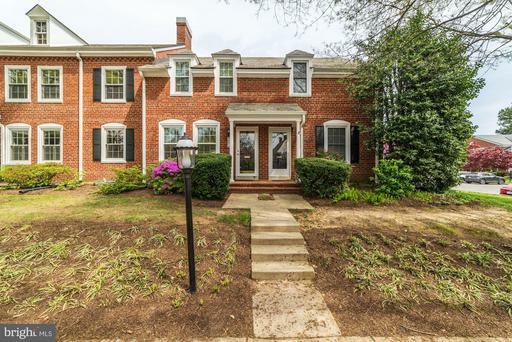 Big, Beautiful 4609 SqFt Brick-Front Colonial with Rare features including a Main Level Owners Bedroom Suite and Sunken Family Room with 18 Ceiling! The Abundant Features and Updates continue including: Grand 2 Story Foyer with 17 Ceiling; Updated Gourmet Kitchen, Maple Cabinetry, Pull Out Shelves, Granite, Breakfast Bar, Prep Sink, Wall Oven with Convection Built-In Microwave/Oven with Convection Smooth Surface Cooktop; Breakfast Room leading to Relaxing Screened-In Deck; Main Level Laundry; Gas Fireplace with Marble Surround; Main Level Owner~s Bedroom with Huge Owner~s Bath with Dual Sinks, 2-Person Corner Soaking Tub and Separate 46" Step-In Shower; Upstairs features Foyer and Family Room Overlook, 4 Additional Bedrooms and 2 more Full Baths; Enormous 1700+ SqFt Basement features an Office, Storage Room, Bonus Room, 21x15 Media Room with All Equipment Conveying, including Mitsubishi Projector, 8x5 Screen and White Sectional; Library Area and Huge Game Room with Walkout to Side Yard. The Exterior Features a Large 48x18 Deck, Private Corner Lot with Low Maintenance Yard, Shed and Side Load 2 Car Garage with Plenty of Parking for RV, Boat or Trailer; Roof with Architectural Shingles...And Much More. This Home is Unique in a Community of Unique Homes! 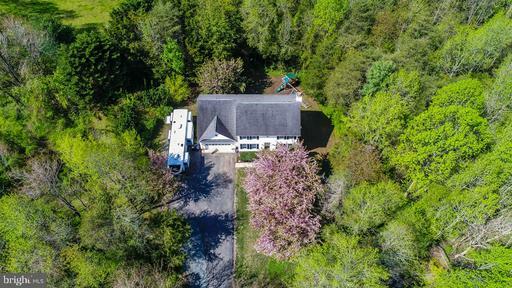 Beautiful 2/3 level rambler on 3.6 private acres with over 4000 sq feet! 12 foot ceilings. Large bedrooms with an open floor plan throughout the home. Main level master suite. Lower level is perfect for an in-law or teen suite. Bonus bedroom and full bathroom over the garage. Kitchen and baths with granite counter tops. Oversized garage, rear deck and front porch! 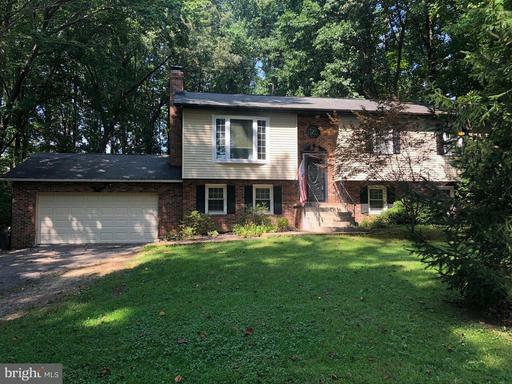 50 year roof with gutters 2016, updated Wood Staircase 2019, updated Landscaping with apple and pear trees and 10 year mulch 2017/2018, updated upper and lower Bathrooms 2018/2019, new floors throughout 2018/2019, new water filtration system 2017, new washing machine, new shed. So many more updates and wonderful details about this home to list!! Stunning home in sought after Brittany Estates. 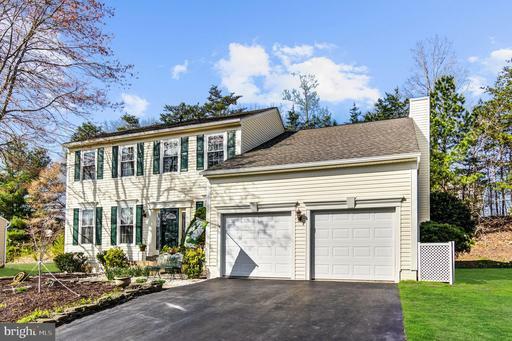 This gorgeous colonial is close to VRE, 95 Rte 1. 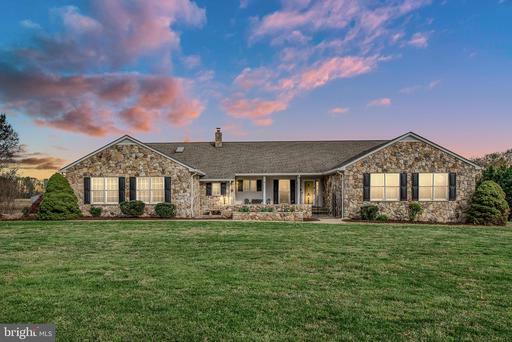 Custom home on 3 acres features has over 6000 finished square feet and features 12+foot ceilings, dual staircase, stone fireplace, gourmet kitchen with island and walk in pantry, sun room, dual office, living room and family room. Master Bedroom has tray ceiling and sitting/dressing area with 2 walk in closets! Master Bath features separate tub/spacious shower and dual sinks. Second bedroom is a master with its own bath. Third and fourth bedrooms boast another full bath Jack and Jill Style. Spacious laundry room on main level with second entrance. Home features hardwood floors, ceramic tile, crown molding, tray ceilings and a hardwired generator for power outages. Large deck off family room overlooks fenced in back yard and backs to trees for privacy. Finished basement has unbelievable 12+ foot ceilings! Wet bar with wine cooler, granite counters and sink. Beautifully fenced in yard has patio for entertaining and plenty of room for little ones and the family pets to run around. FROM THE MOMENT YOU PULL UP, YOU GET THE FEELING THAT THIS HOUSE IS DIFFERENT... THEN YOU OPEN THE FRONT DOOR AND YOUR FEELINGS ARE CONFIRMED! A WARMTH COMES OVER YOU AS YOU ABSORB THE BEAUTIFUL LAYOUT AND CRISP CLEAN COLORS. YOU WALK PAST THE FORMAL LIVING AND DINING ROOMS ONLY TO BE GUIDED TO THE AMAZING WATERFALL WINDOWS IN THE 2 STORY FAMILY ROOM, YOU NOTICE THE GOLF VIEWS IN THE NEAR DISTANCE. EITHER DIRECTION YOU TURN, TOWARDS THE MAIN LEVEL DEN OR THE AWESOME GOURMET KITCHEN, IT DOESNT MATTER, BOTH ARE PLEASING. TAKE A LOOK OUT AT THE DECK, PICTURE YOURSELF SIPPING COFFEE OR COCKTAILS, A GOOD CHANCE YOU WILL HEAR BIRDS OR BIRDIES ON A GOOD DAY BOTH! BACK INSIDE, UP OR DOWN? THE 2 STORY FAMILY ROOM BECKONS YOU UPSTAIRS, FRONT OR BACK STAIRCASE? YOU TAKE THE REAR STAIRS UP-MORE OF THE SAME! BEAUTIFUL AND SPACIOUS BEDROOMS, VAULTED CEILINGS, AND PRISTINE BATHS, BY NOW THE FEEL OF HOME HAS HAD A CHANCE TO SURROUND YOU. YOU IMMEDIATELY THINK THE BASEMENT WILL BE THE NEGATIVE, THERE HAS TO BE A NEGATIVE, RIGHT? WRONG! AS YOUR PROCEED DOWN AND GAZE AT THE MEDIA ROOM AND OPEN USEFUL GAME AREAS, YOU KNOW YOU HAVE FOUND YOUR PERFECT HOME! GET THE PICTURE? COME SEE IT FOR YOURSELF AND LET ME KNOW IF I`M NOT SPOT ON. Welcome to your woodland retreat in popular Settlers Landing! Modern open floor plan with amazing natural light! 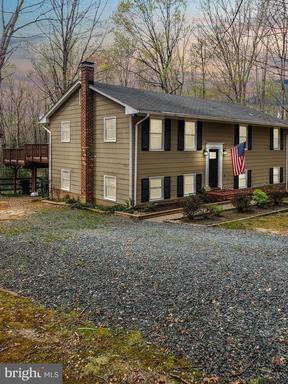 This house is tucked away up a long driveway to the wooded property where you can enjoy quiet views from your screened-in porch or expansive deck! Bring your dog, the backyard is fenced and ready for adventure! You will love the updated kitchen with new light fixtures, shiny new stainless steel appliances and pantry. Sunny breakfast area opens to the family room and living room with gas fireplace and hardwood floors. No boxy colonial style here! Vaulted ceilings throughout and lots of windows bring views of nature inside. More vaulted ceilings welcome you to the Master suite which has a walk-in closet, master bath with separate shower and soaking tub. Dont forget to check out the two additional large bedrooms with walk-in closet, extra storage in the hall, the guest bathroom, plus the laundry room upstairs! The 2 car garage has a workbench, storage shelves, extra refrigerator and microwave. With new carpeting and freshly painted a modern gray, this house is ready to go. 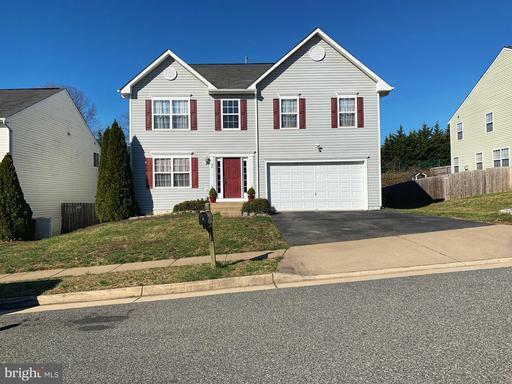 Highly desirable North Stafford location, close to MCB Quantico, commuter lots, shopping, schools, restaurants, Local Brewing Company, local coffee shops and Target! Low HOA! Active Adult Age Qualified Community 55+ Beautiful Castle Rock home with Loft -- 3 Bedroom, 3 Baths Single Family home with a Sunroom, Loft, Gas Fireplace with Granite Surround, Gourmet Kitchen with Luxury Range, 42~ Hazelnut Glaze Cabinets w/ Baltic Brown Granite Countertops, Master Bath Shower with a seat ~ Hardwood and Ceramic floors throughout the main level. Nicely painted Finished 2 car garage. The Gated Community is surrounded by 125 acres of conservatory land and offers the legendary Del Webb lifestyle, including full lawn care, 30,800 sq. ft. clubhouse with indoor/outdoor pools, fitness facility, indoor track, tennis/pickle ball courts, bocce courts, garden plots, and a Full-time lifestyle director. Available in June 2019.. Call 540-251-8050 for more information. Active Adult Age Qualified Community 55+ Spacious, Beautiful Decorated 3 Level Willowcroft MODEL Home with Designer upgrades. Middle Unit with 4 Bedrooms, 4 Baths Villa home with a Walk-out Basement, Sunroom, Loft, Deck, Gas Fireplace with Granite Surround, Gourmet Kitchen with 42~ White Linen Cabinets w/ Iced White Quartz Countertops, Huge Luxury MBA Shower with 2nd Shower head, Oak Staircase leading up to the Loft, and Fully Finished Basement including a Rec Room, Media Room, Bedroom and Bath. Wonderful location in close proximity to the clubhouse. The Gated Community is surrounded by 125 acres of conservatory land and offers the legendary Del Webb lifestyle, including full lawn care, 30,800 sq. ft. clubhouse with indoor/outdoor pools, fitness facility, indoor track, tennis/pickle ball courts, bocce courts, garden plots, and a Full-time lifestyle director. Available in June 2019. Call 540 251-8050 for more information. 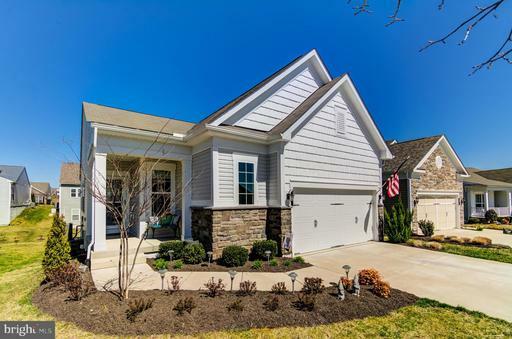 Active Adult Age Qualified Community 55+ Spacious, Beautiful Decorated 3 Level Bluemont MODEL Home with Designer upgrades. End Unit with 3 Bedrooms, 4 Baths Villa home with a Walk-out Basement, Sunroom, Den, Loft, Patio, Gas Fireplace with Granite Surround, Gourmet Kitchen w/ Luxury Range, 42~ Scottsdale Cherry Cabinets w/ Amber Yellow Granite Countertops, Huge Ultimate MBA Shower with 2nd Shower head, Oak Staircase leading up to the Loft, and Fully Finished Basement including a Rec Room, Media Room, Hobby Room and Bath. Wonderful location in close proximity to the clubhouse. The Gated Community is surrounded by 125 acres of conservatory land and offers the legendary Del Webb lifestyle, including full lawn care, 30,800 sq. ft. clubhouse with indoor/outdoor pools, fitness facility, indoor track, tennis/pickle ball courts, bocce courts, garden plots, and a Full-time lifestyle director. Available in June 2019. Call 540-251-8050 for more information. This lovely maintained home has all the upgrades you could want! Spacious kitchen with cherry cabinetry, granite, stainless steel appliances, recessed lighting and elegant bay window overlooking the gorgeous view! New wall oven and microwave. There is a pantry to die for, plenty of shelving. Family room is open to kitchen with gas fireplace. All carpet is brand new! Hardwood in foyer, office, living and dining room. Windows in front of home have tint for UVA protection can be removed. There is a water treatment system for the whole home as well as a in home filtration/allergy system. On the upper level are 4 spacious bedrooms. The master bedroom has 2 sitting areas, plus 3 closets! One walk in! A cathedral ceiling opens up the room, and the master bath is a dream! Soaker tub, a separate tiled shower, water closet and his and her vanities. The laundry room is on the bedroom level for convenience. Outside you have a split rail fence with wire fencing around the back yard to keep you pets in. The backyard has recently been sodded. There is so much privacy, you dont see any neighbors close by but what you will see is eagles, turkeys, deer, foxes and a myriad of wildlife! There is a composite deck for your enjoyment~with concrete stairs and under deck lighting. The entire yard has an in-ground sprinkler system to keep your grass nice and green. You also get a nicely paved driveway that has been recently sealed. Gutter guards are installed too! The owners have thought of everything. 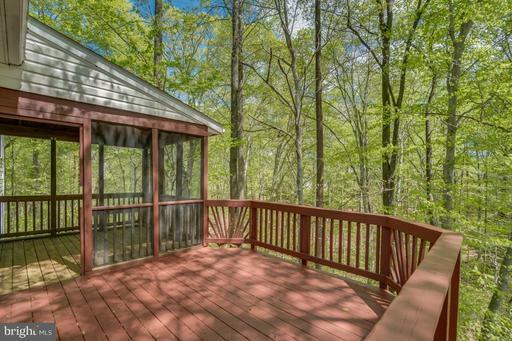 You have all this privacy but are only 4 miles to the VRE and 15 minutes from I95! The commuter lot is also close by. For enjoyment, there is Aquia Landing closeby. You can pack a picnic or take your fishing pole and have a relaxing day minutes from home! Crows nest is also just a few minutes away and you can take your canoe or kayak and explore to your hearts content. 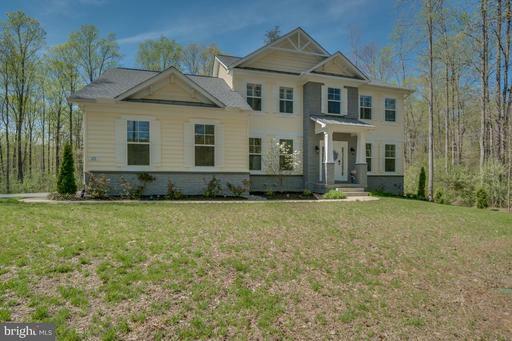 This is a great community of newer homes and so close to Quantico and Ft Belvoir. This home looks like a brand new home, and the owners have already added all the extras for you! Just move in! 5 bedroom 3 1/2 bath on over 4 acres secluded with stocked pond and garden area. 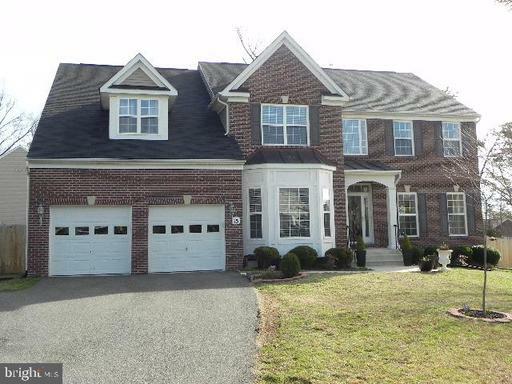 Located in Stafford county completely tucked away from all the hustle and bustle. Wood floors. Brand new carpet. 3 bedrooms on main floor. Master bedroom and bathroom on main level with back deck access. Open floor plan. Laundry room/mud room with 1/2 bath perfect for the gardener to clean up after enjoying the landscape/garden areas. Entertain family and friends on the entire property and enjoy fishing on the stocked pond. No HOA. Located close to everything. 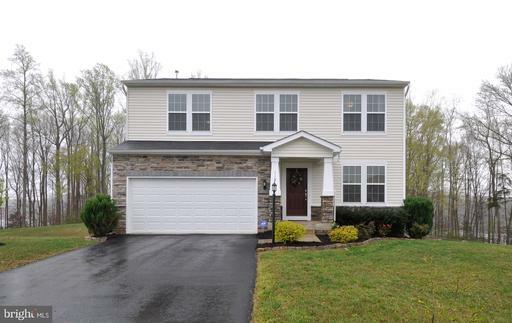 Sought after 3 bedroom/3 bath floorplan w/finished basement! Active Adult Age Qualified Community 55+! Buyer to pay transfer fee at closing. Spacious single family home features all the upgrades--upgraded gourmet kitchen with stainless steel appliances, granite countertops, hardwood floors, deck, patio, awning, tons of storage, lots of cabinet space, built-in closet organizer in the walk-in closet, water filtration system, split bedrooms, lower level suite, ceramic tiles in bathrooms and open living area! Tons of amenities and activities that include pool, tennis courts, gym and a 30,000 square foot clubhouse. Included in HOA is cable TV, mowing, leaf removal, trash, recycling, walking trails, bocce ball courts, putting green, spa, garden plots and shed, fitness center, business center, ballroom, fireside lounge, clubs, activities and much more. 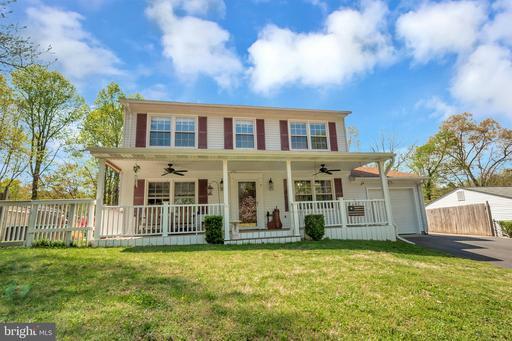 Close to shopping, downtown Fredericksburg, and I-95, this 4 bedroom, 2.5 bath home is located on a quiet cul-de-sac. Nestled in a bed of cherry blossoms and landscaping, this yard is every homeowners dream. From the sunroom, or spacious deck you will enjoy the privacy of this home located on almost an acre of land. Stainless appliances, eat-in kitchen, formal living/dining, family room, sunroom, true two car garage. Master with en-suite. Three other spacious bedrooms. 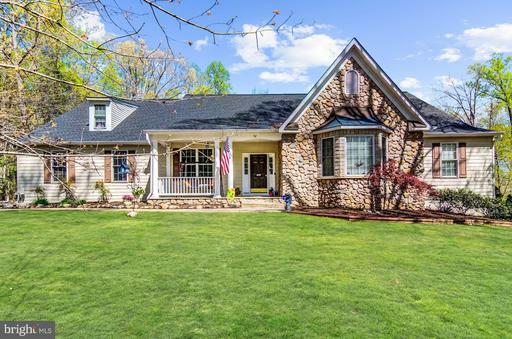 Highly-sought after custom built rambler with a full walkout basement to pool sitting on almost 3 acres. With almost 5000 square feet of finished living area, this rambler is deceptively large. Large bedrooms; fresh paint. Kitchens feature new appliances, one to include a double oven. One new ac unit and one new hot water heater. No HOA. Private deck overlooking pool. Spacious basement rec room with bar area. Additional hook ups in basement for a washer and dryer. Could be a multi-generational home or income producing property with a separate in-law suite and a private entrance that could be used as a rental. Great curb appeal as you drive up to this beautiful home located in the quiet established neighborhood of St. Georges Estates! As you enter the home you will notice hardwood floors throughout the main level. The family room has a fireplace and is conveniently located off the kitchen. The ceilings in both the kitchen and family room are Shiplap. You will love cooking in the kitchen which has an island with double sink, built-in dishwasher and seating. There are beautiful Silestone countertops and under counter lighting. Upstairs you can relax in your master suite or in the additional three bedrooms. Outside you will enjoy relaxing on your covered front porch, entertaining on your deck or enjoying the large, flat backyard with separate patio and firepit! Privacy is provided by the fence and trees bordering the back yard. 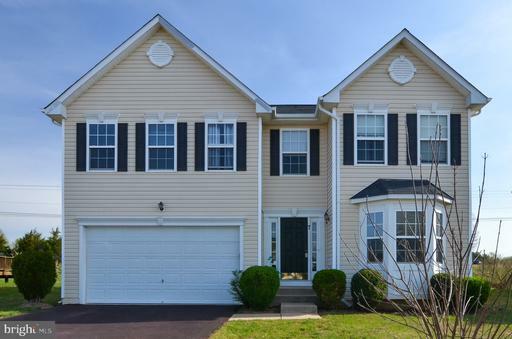 This neighborhood is close to schools and easily accessible commuter lots, shopping dining! NEW toilets in all bathrooms, Roof is 2 years old and HVAC is 5 years old! To be Built-Elegant Two-Story Colonial with a Regal Two-Story Foyer and Regal Curved Oak Staircase. This home is filled with many upgrades that are standard with an SYG home, from the main staircase, to the back staircase that descends to the spacious gourmet kitchen with G.E. Appliances, a large island that is a chefs dream, a two-story family room with gas/propane fireplace, massive window grouping and a quiet first floor study. The second floor has a master bedroom suite that is a paradise getaway with a separate sitting area and luxurious designer spa bath. Three large bedrooms, one that has a private bath. Conveniently located only 3 miles from the VRE. Partially Built-Elegant Two-Story Colonial with a Regal Two-Story Foyer and Regal Curved Oak Staircase. This home is filled with many upgrades that are standard with an SYG home, from the main staircase, to the back staircase that descends to the spacious gourmet kitchen with G.E. Appliances, a large island that is a chefs dream, a two-story family room with gas/propane fireplace, massive window grouping and a quiet first floor study. The second floor has a master bedroom suite that is a paradise getaway with a separate sitting area and luxurious designer spa bath. Three large bedrooms, one that has a private bath. Conveniently located only 3 miles from the VRE. **Open House Saturday 4/20 from 1-4pm! **Privacy at its best! Enter into the 2 story, light filled foyer that leads into the spacious kitchen with large center island and breakfast bar. Step down into the roomy family room with a stunning brick fireplace to keep warm by in the winter. Main level also has formal living and dining room separated by decorative columns and an office/den with french doors to secure for privacy. Upper level holds laundry room and 3 roomy bedrooms and a spacious master suite with an expansive walk in closet. Finished basement with recreation room that leads out to the pool deck, an ample sized storage room and a possible 5th bedroom NTC. Outside boasts an impressive in-ground pool with diving board, spa and jet sprays. Enjoy quiet nights relaxing on the tiered deck enjoying the sounds of nature. Convenient to shopping and restaurants. Freshly painted, NEW carpet, roof, driveway, water heater, dishwasher, microwave, washer and dryer. NEW pool pump motor and valve, and loop-loc pool cover. No HOA. All this and more on 3.8 acres and in the Mountain View HS school district. Listing Broker: Holt For Homes, Inc. This 5 BR - 3.5 Bathroom has all newer carpet a newer roof. Hardwood floors in the foyer, living room, main level family room kitchen. Stainless appliances in Kitchen. Master Bedroom has vaulted ceilings. Master Bathroom has dual sinks, separate tub and shower. Fully fenced rear yard. Basement family room, 5th Bedroom full bath. More pictures to be added. Pages: 12 Page: 1 2 3 4 5 6 7 8 9 10 11 See more homes at one time! Change to 10 12 30 40 50 70 100 150 homes per page.